Mortgage Protection Insurance Leads Providers and Telemarketing Mortgage Protection Life Insurance Lead Generation. Database Systems Corp. provides the technology and products that can improve the productivity of your mortgage insurance marketing organization. Our mortgage protection insurance marketing phone system and insurance telemarketing software can streamline your operation while providing controls and consistency in your organization. But this technology can only help your insurance marketing program if your mortgage insurance leads contain qualified prospective clients. Since DSC does not provide insurance leads to our clients, we created this directory to assist them in obtaining valid and qualified mortgage protection insurance leads. The following is a list of organizations that according to their website descriptions provide mortgage insurance lead lists. Database Systems Corp. is not affiliated with any of these organizations nor does it promote or endorse the products and services of these companies. These websites promote various types of insurance leads including Insurance Marketing Leads, Homeowner Insurance Leads, Automobile Insurance Leads, Mortgage Protection Insurance Leads, etc. If you are a mortgage insurance leads provider and would like your website included in this directory, please use our Submit Insurance Leads Website form. It's FREE and simple to add your website. NOTE Information presented on this page was provided by each company or found on the website listed with this company. Database Systems Corp. does not warrant the accuracy of this information. For current information, please visit the website listed with each organization. Whether you�re looking for exclusive or non-exclusive insurance leads, life, disability, long term care, annuity, health, financial planning, homeowners or auto, we are your source. We�ll earn your business with the quality of our product, and keep you coming back with our customer service! Fresh High-Quality Leads and Complete Service - Corente Insurance Agency is the provider with purpose. Our goal is to have our agents first in the door, which offers them the best chance to close the sale. We provide ongoing friendly support and service to all of our field agents throughout the country. Our leads are fresh, literally faxed to you within 1 to 3 days of the proposed insured completing the Mortgage Protection Insurance Reply Card. Based on our national average you can expect to receive 15 leads per week. These will convert into 10 to 12 appointments which will result in 3 to 5 sales averaging $2700 in commissions per week. 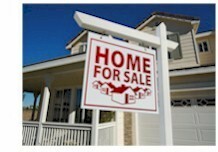 At HomeownersInsuranceLeads.com you get to choose your leads from a real-time database! With hundreds of Internet sites focused on production of leads, we have the Homeowner Insurance prospects you need. The leads are quality checked prior to being inserted into the real-time lead database, where they can be purchased online. INSURANCE LEADS! We've been generating high quality insurance agent leads on the Internet since 1996! Let us do the marketing and we'll let you do what you do best: Close deals for insurance leads! Protect Both Your Family and Your Mortgage with Affordable Term Life Insurance. There�s a better way to protect your family and your home than with traditional mortgage life insurance. With term life insurance rates at all time lows, now is the time to purchase the coverage that is right for you. Find out why term life insurance is the smarter alternative to safeguard both your mortgage and your loved ones. Marketing Resources develop fresh, exclusive, pre qualified, direct mail mortgage life insurance leads for life insurance agents and agencies across the country, and may be the only lead company that guarantees you will make sales if you follow our instructions. We provide our clients with a proven mortgage protection insurance sales system as part of their purchase, which is the accumulation of twenty years of experience in the insurance market. Most of our clients consider us the solution to their prospecting problems. Mortgage protection insurance leads have a huge upside potential. For agents who can purchase good mortgage protection insurance leads, they are able to gain a significant amount of business, and insuring something as big as your mortgage is fairly costly. The potential benefit creates a lot of demand for mortgage protection insurance leads. However, since people rarely change their mortgage protection insurance, there are few actual mortgage protection insurance leads available. When this fact is combined with the already high level of demand, the price of mortgage protection insurance leads is logically pushed upwards. These high prices are able to help create equilibrium between the supply and demand of mortgage protection insurance leads as many agents think they are too expensive to be worthwhile. Customer Requested: All leads have asked for a quote. Super-Fresh. Sent to you within 3 minutes of generation. No setup fees or long-term contracts. Recommended by the Wall Street Journal for agent friendly consumers. We are committed to the success of your marketing! US Data Corporation is the nation's most reliable resource for accurate, responsive, and current consumer mailing lists and business mailing lists. U.S. Data Corporation cross verifies our data against multiple leading data providers for unparalleled precision. We'd rather throw a bad record away than sell it to you. With technology from Database Systems Corp., we can pre-qualify your mortgage protection insurance leads and insurance prospects before they ever speak to your insurance agents. Using our PACER and WIZARD phone systems with the Smart Predictive Dialing feature, we can call your prospects and play a highly focused and custom greeting. We then can give your insurance prospects the option to talk with an agent, leave a voice message, hear additional information such as the latest insurance rate quotes, schedule a call back, or simply decline the service. The call can further qualify your prospects by asking them demographic information and desired insurance amount information. Now when your insurance agents speak with a prospect, you know there is a high level of interest. No longer will your insurance agents spend hours dialing numbers, repeating the same greeting, experiencing a high level of rejection. Your calls will be with highly qualified and interested prospects. Fewer agents can process far more insurance prospecting leads and your call success rate will increase dramatically. Contact DSC to learn more about our products that process Mortgage Protection Insurance leads using our Mortgage Protection Insurance auto dialer.